Cities such as New York, Chicago and San Francisco as well as the ‘City of Angels’ Los Angeles provide the urban delights but there is so much more to the United States, from the contrasting wilderness of the Mojave Desert and the Rocky Mountains to the stunning natural beauty of Yellowstone and Yosemite National Parks. Alternatively, relax on the endless wonderful beaches of California or Florida and soak up the rays. Located on the shore of Lake Michigan, Chicago’s ‘Windy City’ label certainly suits it. Situated in the northern state of Illinois, Chicago is famous for its weather as well as its skyline of architectural skyscrapers. There are numerous visitor attractions such as the commercial centre of Navy Pier featuring shops, eateries as well as parkland and gardens. Chicago is also a cultural centre with numerous historical as well as scientific attractions. View ‘Sue’ the Tyrannosaurus Rex at the Field Museum of Natural History whereby the size and quality of its educational and scientific programmes ensure that the museum is at the forefront of quality within its field. Chicago is also well known for its leisurely shopping experience, Saks Fifth Avenue, Bloomingdale’s and Macy’s alongside some small independent boutiques ought to quench your thirst for a perfect shopping experience. Chicago has a buzzing nightlife filled with the sounds of blues and jazz that the city is world-renowned for. Chicago is also home to a varied climate depending on the time of the year you visit. The summer months can be hot and humid while the winter can be very cold, snowy and this is where the city lives up to its nickname as the winds flowing southwards off Lake Michigan take root within the city. 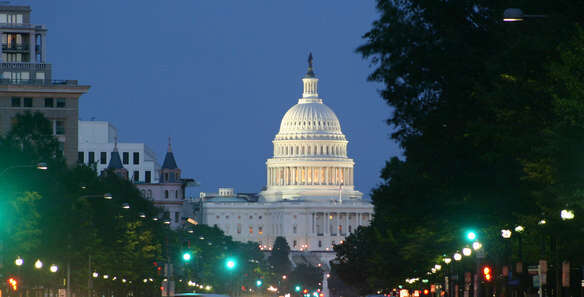 The capital of this mightily splendid country, Washington D.C is situated on the east coast of the USA. Washington is a scenic space, with many tree-lined avenues and parks to visit and merely enjoy. Washington, of course, is also home to the federal US government; the US Capitol building standing atop Capitol Hill comprises the US Senate and the House of Representatives with the Washington Monument hanging over them. Historically, the capital is also a place of interest. There is of course the White House, home to the US President complete with the famous statue of Abraham Lincoln gazing across to the Washington Monument as well as the National WWII Memorial and the Jefferson Memorial while also encompassing the Franklin Delano Roosevelt Memorial. The Arlington National Cemetery, the largest in the USA, is also an experience that you will not forget. The city has an abundance of museums ranging from the Holocaust Museum, National Air and Space Museum, National Museum of the American Indian and National Museum of the American Indian and National Museum of Natural History.